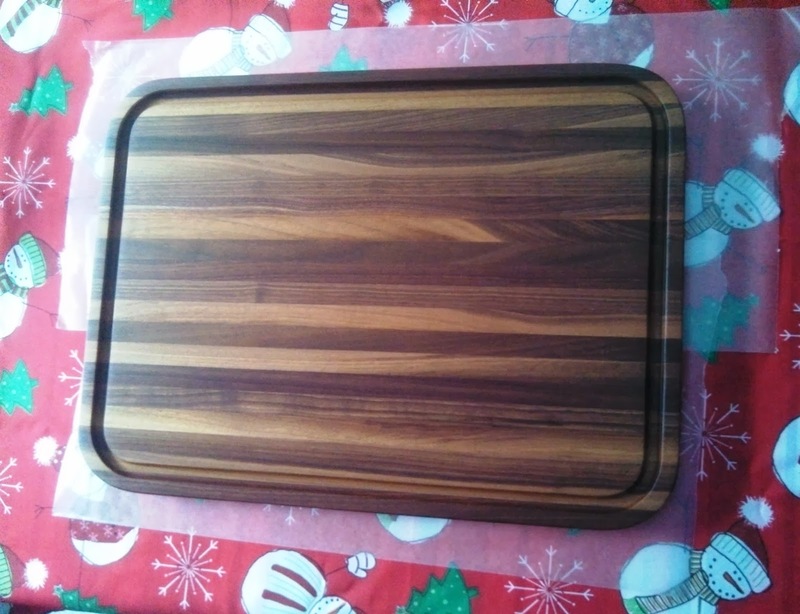 Introducing the “Preston” Cutting Board, our first special order. We have decided to name it after the designer, since it will be offered as a standard available option. Shown here sanded up and ready for finish. 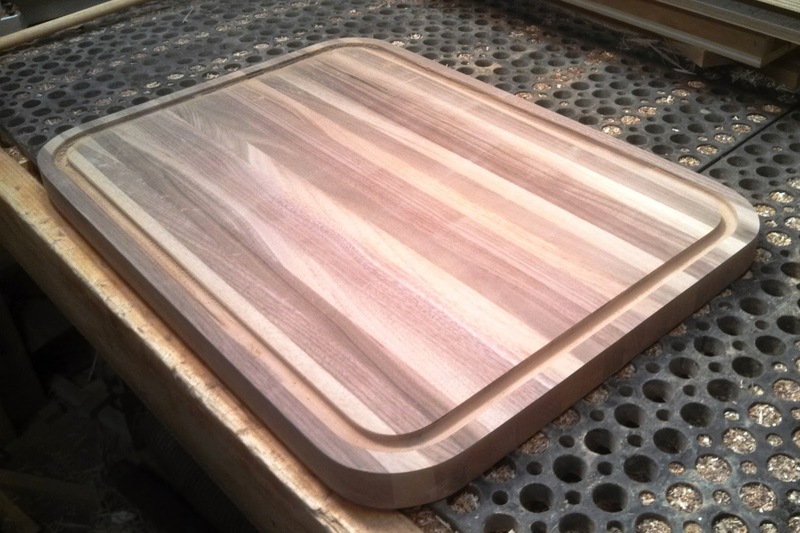 16″ x 22″ x 1 1/8″, radius corners and drip edge all around, but only on one side. It’s reversible! 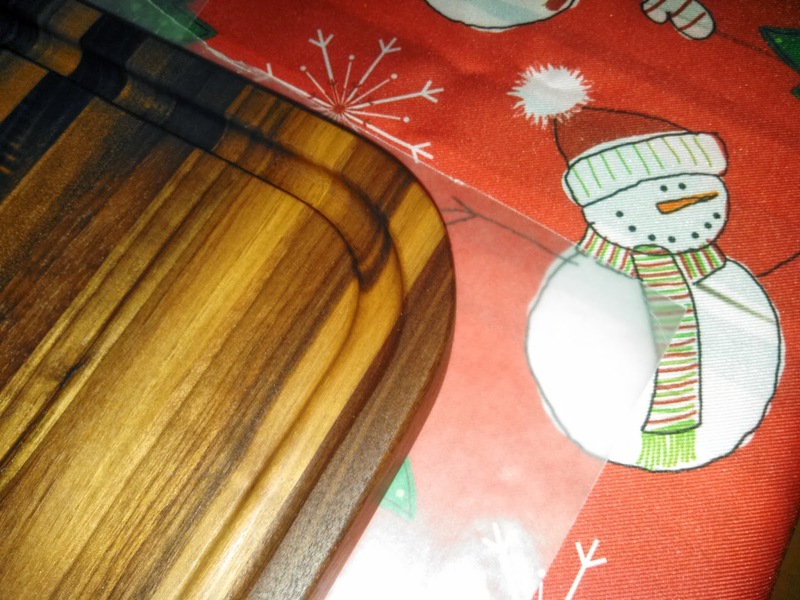 Walnut is the wood choice and the Butcher Block Conditioner not only seals and protects the board, it also brings out the character in the wood grain. So pretty! Do you agree? We love it and hope to sell many more (and keep one for us of course)! We have since sold another, based on this design. Red Birch is the wood choice, which has a slightly less material cost than Walnut, per board foot. 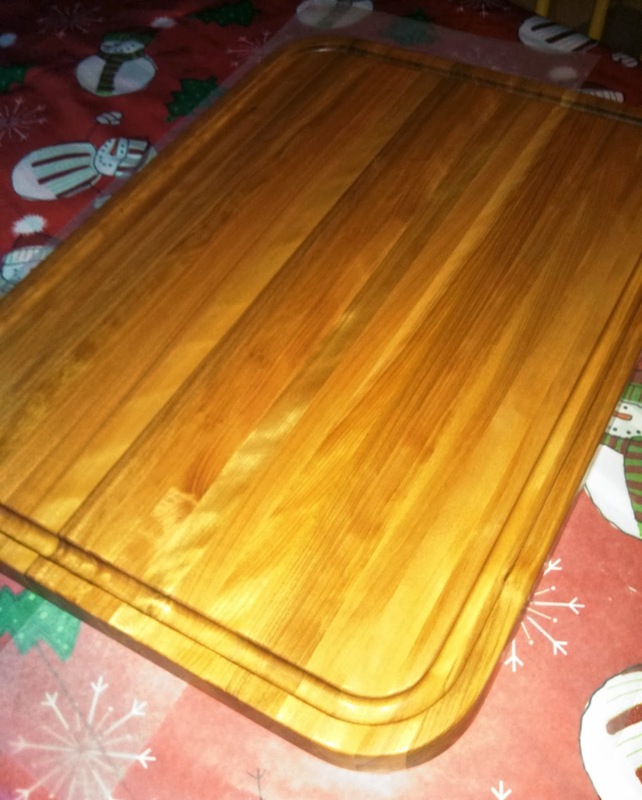 All the cutting boards we offer are hand made by the husband…no buyins. Thank you for stopping by, comments welcome! This entry was posted in cutting board, red birch wood, walnut wood. Bookmark the permalink.